Aged 21 he met Geraldine, now his wife-to-be, and was given an ultimatum by his then partner to continue their relationship or pursue a career in hairdressing. Andrew followed his heart, and he and Geraldine opened their first salon in Basingstoke in 1991. It was a rapid success, the only hold back was the skills shortage locally – particularly for good men’s hairdressers. Andrew soon found himself training staff and apprentices before and after hours alongside cutting his clients’ hair, and he soon had a team of 12 fully-trained clippers. “There was a real ‘bums on seats’ approach to recruiting students and the college wasn’t really helping the people who didn’t offer it the income it sought. It seemed that mature students with kids, those on benefits, the homeless, people on probation, those with special educational needs and others who, like me, had come through the care system were actively avoided,” Andrew explains. So Andrew and Geraldine set up the Trilby A independent training academy to train people to cut hair and manage a hairdressing business. The academy offers accessible, affordable and flexible training to its students – some of whom don’t pay because of their personal circumstances. From day one the academy’s models were also people in need in the local community. Word of his work soon spread and Trilby A partnered with the local Housing Association to secure lottery funding for courses specifically to help people get of long-term benefits. Trilby A has also worked with the DWP on similar schemes. As more people qualified a third salon was opened where many of them secured work, while others secured jobs working for rival salons and even established their own businesses. In its 25 years Trilby A has helped hundreds of people to acquire practical skills with which they can start a career at a fraction of the cost of colleges. 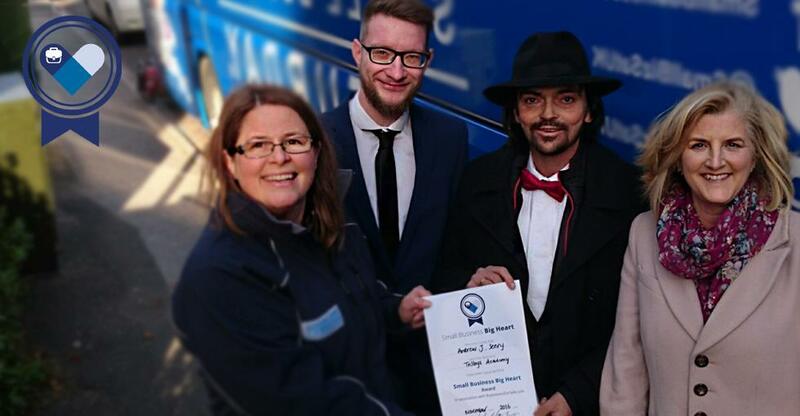 Has your small business got a big heart like Trilby A? If so tell us your story by completing our short survey here and watch this space for details of the 2017 BusinessesForSale.com Small Business Big Heart Awards.